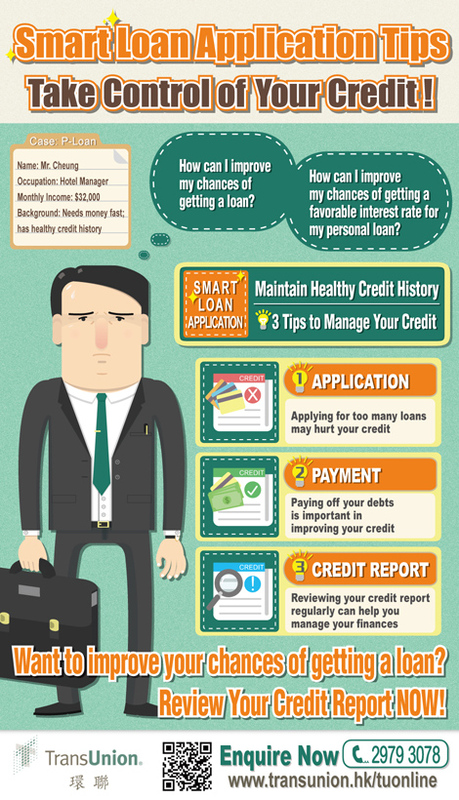 You may think that credit reports are only for those who want to take out a loan. Did you know your credit card issuing bank, landlord, potential employer would use your credit report as one of the approval criteria? 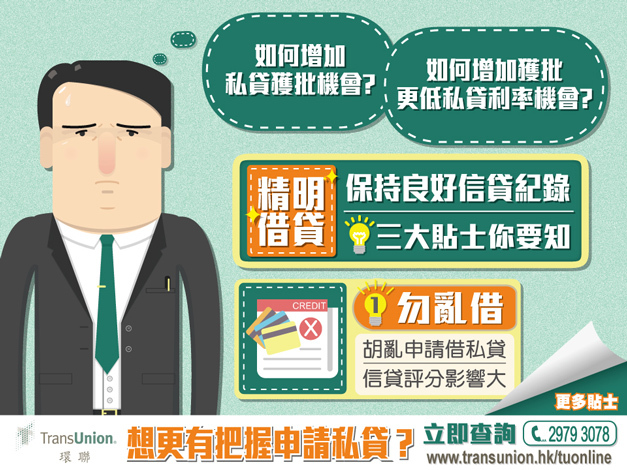 TransUnion is the first and only consumer credit reporting company in Hong Kong maintaining extensive credit data on over 5 million individuals. It provides all kinds of secured credit usage and repayment history to financial and banking institutions for managing their customers. TransUnion also takes the responsibilities to educate the public about how to monitor their personal credit and maintain a good credit score. 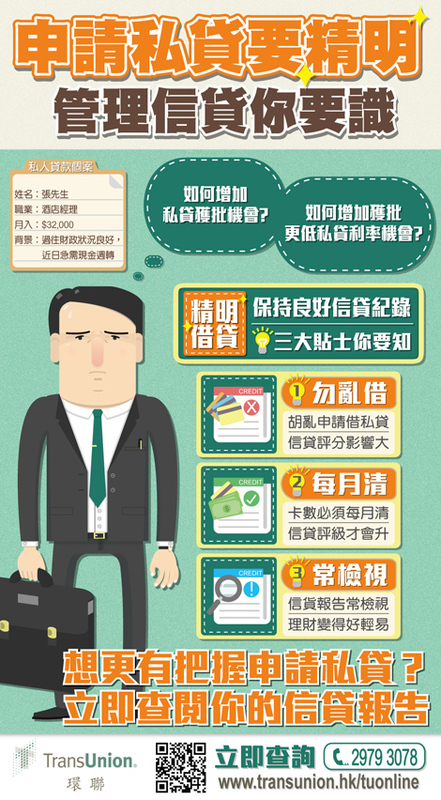 Through different scenarios, we’ve created posters, other marketing materials, and online display banners to promote credit reports to the public and successfully attracted the target audience to visit the promotional website.